At the request of HoldFast Grips, we at standuppaddleboardingguide.com tested and reviewed the grip for its SUPing capabilities. Manufactured and packaged in Kent, Ohio U.S.A.
Once the hand wraps around the grip during paddling, there is no slip, slide, or unwanted movement…nice! Width – 3 3/8” at widest point. Thickness – very thin, approximately 1 mil. Even though the instructional diagram shows placement clearly, be sure to set the centre strip as square as possible. This product has not been measured by Stand Up Paddle Boarding Guide in terms of longevity, wearability and effectiveness over time. During the first day of testing, NRS neoprene hand gloves were used because of cold weather conditions. We paddled approximately 9 km / 5 1/2 miles. The weather included some rain and hail—so, the gloves were damp. Conditions were humid and cool (5 degrees celsius - 42 degrees fahrenheit) The Hold Fast Grip is impressive in this environment. Expect an absolute hold with the Hold Fast Grip in a wet environment. No slipping or sliding! AND the grip felt much warmer than grabbing onto the paddle shaft directly. 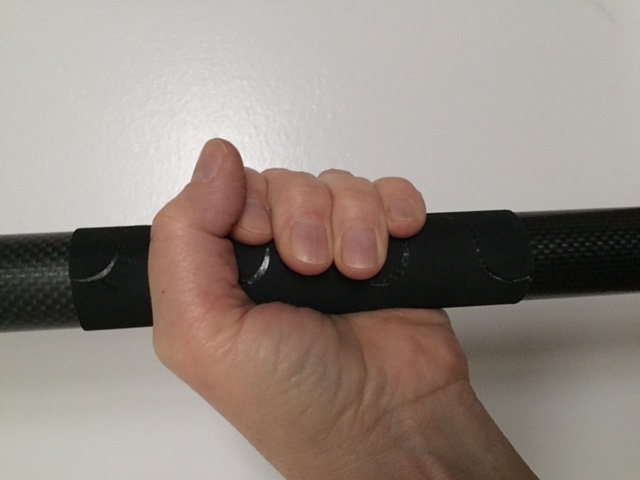 NOTE: once I wrapped my hand around the grip there was a pleasant surprise; an intuitive sense to not have to hold on too tight in order to maintain an absolute grip. It is fair to say there is less stress on the hand since less of a stronghold is required. Keep in mind, many factors will determine the measure of effectiveness for each individual, based on hand size, hand shape, hand grip and style of paddle stroke. Wow…the Hold Fast Grip is impressive if you are looking for a product that keeps the hand in place without rubbing or slipping. It is effective and beneficial whether you are paddling in a relaxed mode or a quick stroke mode. We like this grip A LOT! Last season I used the HitCase Pro while SUPing approximately 15 times before the case split at the side—It had to be replaced. I only noticed the split after not being able to close the case properly one day. I don’t know when or how it happened. That is to say, my case did not go through rough and tough rigorous wear to this point. I did write to HitCase Inc. to ask if it could be repaired and to express my disappointment. I did not receive a reply. HITCASE expresses (on their website) that they have made changes and improvements over time. Because I have many accessories for this HitCase I decided to purchase another one this season. Note: another $100.00 cdn. 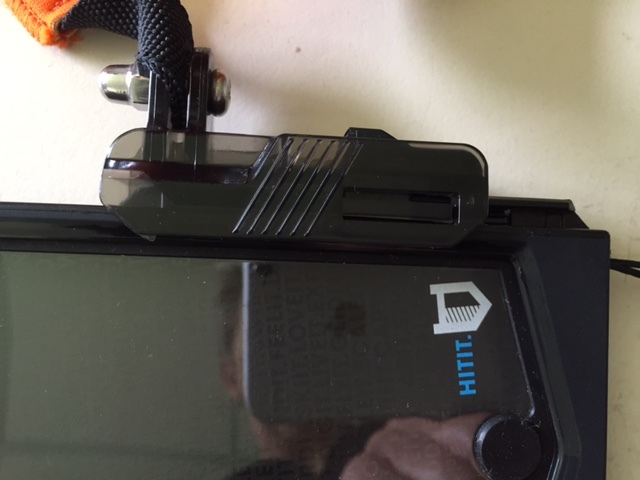 With the second HitCase, it takes some frustrating fiddling to line up the charging cord to the charging port. HitCase says the plastic screen is 25% thinner than the original version, for greater sensitivity. Normally I keep an “iVisor “ screen protector on my iPhone 6. 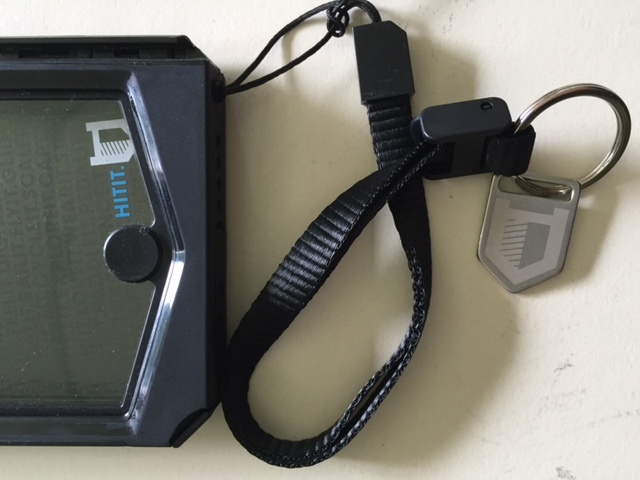 With the iVisor “on” and in the HITCASE, sensitivity is NOT good and very frustrating. When the iVisor is removed, the sensitivity is GOOD. 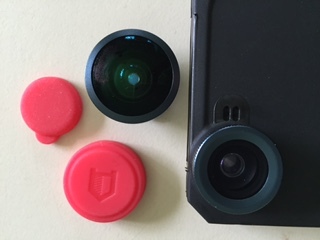 All buttons respond through HitCase’s plastic shield. On the rare occasion a corner screen button my take two hits to get a response. After following the instructions on ensuring proper closure, we submerged the HitCase for 15 minutes under water. When we opened the case there was NOT a drop of water inside. 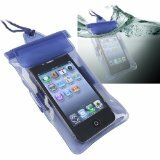 This case is completely 100% waterproof. NOTE: HitCase states; “If testing your HITCASE without an iPhone you might notice moisture inside, this is not unusual as the seal may not have totally activated.” It goes on to say, “ For the ShockSeal to work perfectly your iPhone must be in your HITCASE before closing it”. In other words the pressure of the phone against the seal inside the case further ensures a waterproof environment. Impressive. The sound is clear when Initiating and receiving phone calls. A superwide, wide, and macro lenses is available. They come with flexible protective covers for both sides of the lens. When a lens is attached to the case it’s flexible protective cover stays on well and is quickly and easily removed for getting your shot. To attach a lens to the case make sure the threads are connected properly and tighten by giving it a half turn. This system works flawlessly. Disconnecting pieces is “eyes free” making is quick and easy to mount and remove accessories. 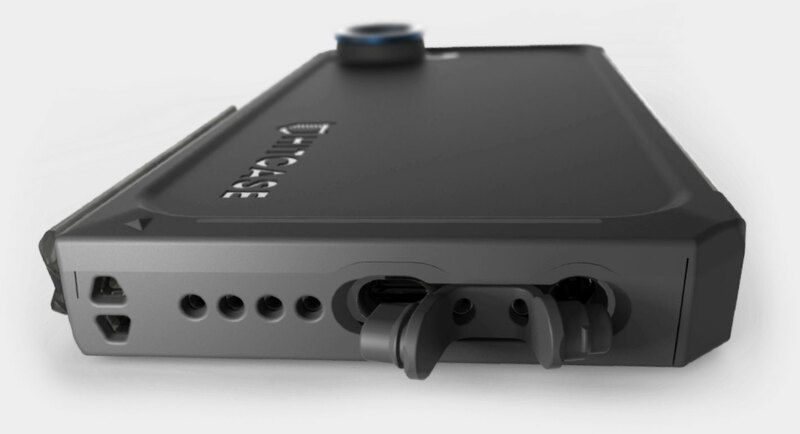 At the bottom of the case you’ll find an audio port and lightning port for charging so you don’t have to remove the phone from the case to charge. NOTE: The second HitCase I purchased, lining up the charging cord to the case port opening is frustrating. Removing the phone from the case: note; to open the case you will need HitCases “Pop Lock” key or similar straight edge to pry the sides open). I keep the “Pop Lock” key on the hand strap attached to the case. When the case is not in use I keep it in a ziplock plastic bag to avoid screen scratches and lint from gathering on the inside seal…an easy way to avoid scratches and ensure a longer life. Screen sensitivity is good and all outside buttons respond as they should. The wide range of accessories makes this brand one-of-a-kind. NOTE: The HitCase technology and design is impressive although we still question the strength of the case—time will tell. Because my personal HitCase developed a clean break at the side of the case under non-rigourous conditions, and after only 15 outings, the quality is still in question. The charging port opening does not line up well with the charging cord.—quality control needed here. How about finding a better way to attach the hand strap HITCASE? Attaching the hand strap at the bottom of the case is frustrating! It took 20 minutes to get the end of the strap through the awkward hole and that was only accomplished after managing to find a mini hook to finally catch the loop to pull it through. It is in a good place and very secure but WOW, so difficult to attach. Made by Seattle Sports. 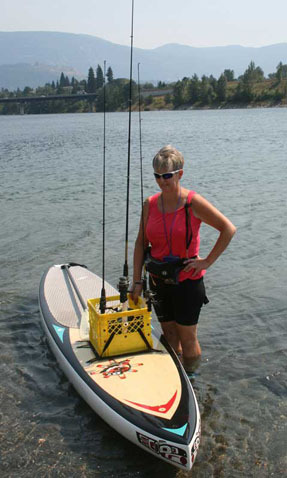 Bar with suction and roller to aide in rolling a paddle board up the front or back of a vehicle. Over-all length – 26 1/2 in. Diameter of suction pads – 4 5/8"
Over-all length of 2 rollers – 8 1/2"
Ability to angle the handle and suction cups 2 ways – up-right or on its side to accomodate the angle of your vehicle window. The pads have very strong suction. Once they are properly set there is no movement what so ever. You can feel confident rolling up a long board without issue. Easy to assemble out of the package. Only 2 wrenches are needed. One to hold nut in place and the other to tighten. To apply suction simply place on a dry, dust free window and pull the lever down. The rollers work well, smooth turning with no resistence. We tested this roller on a Honda CRV window. It works beautifully. There was no fear of the unit moving while a 12' 6' x 29", 33lb paddle board was rolled up and onto the top of the vehicle. 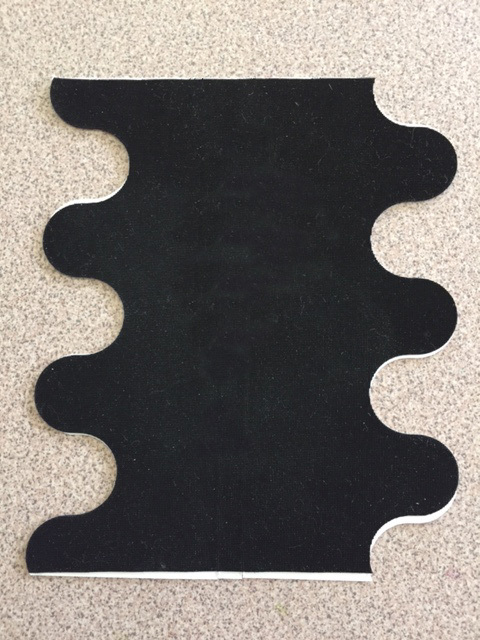 This is a handy dandy inexpensive device ($39.95 us) is perfect for rolling a paddle board up the front or back of a vehicle. On this Honda the roller has to be placed high on the front window so it doesn't obstruct driving view. So leaving it on the window for a short drive back was not an issue—still stuck firm on the journey home. We are not suggesting you do the same—just saying this device has very, very strong suction power. Even though it works very well. There would be a greater sense of trust, if the rollers spanned in length at least 12" rather than 8 1/2". Treed area – we tested at 3 distances, outdoors in a treed area, with a male and female and came up with the same results between the two. It was a clear day and sunny, no wind. All whistles could be heard clearly. All whistles could be heard. The Sharx and the Sonik Blast are the sharpest and clearest in these conditions. All whistles could be heard if focused on listening and without walking or other extraneous sounds. On water – on an open water lake without interference of obstacles, we tested at 3 distances. The air conditions were poor because of smoke from wildfires. The water was calm and without a breeze. All whistles could be heard clearly. The Sharx and the Sonik Blast (higher pitch) are the sharpest and clearest in these conditions. Fox 40 Micro couldn’t be heard. The other three produce a hint of sound…may not enough sound to be identified as whistles. The Sharx and the Sonik Blast are the sharpest and clearest in these conditions. The sound is too faint to determine pitch differences. It is clear that all 4 whistles are made of a strong rigid and seemingly indestructible plastic. 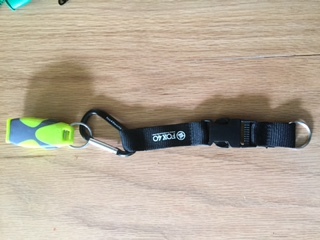 The quick release strap, with clip and carabiner are a nice touch for those who need a whistle at easy reach. This quick release setup with ring on one end and carabiner on the other provides endless options for attaching to clothing, belt or bag. It is quickly discovered, the harder the blow the louder the sound. These whistles, when wet, sound the same as when dry. Water does not hinder the performance in any way. 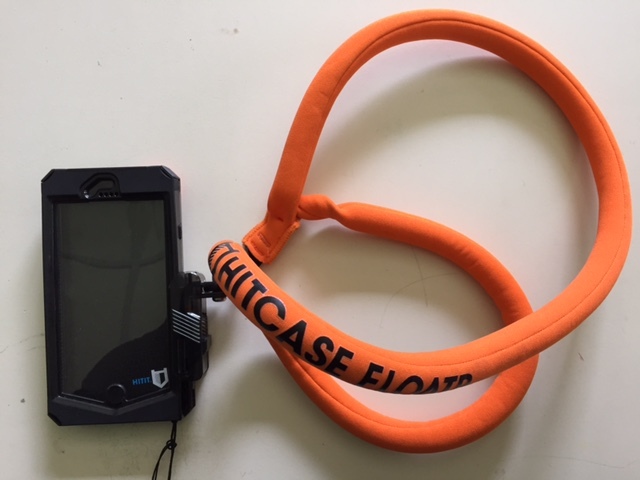 The quick release strap and carabiner setup with ring on one end and carabiner on the other provides endless options for attaching to clothing, belt or bag. 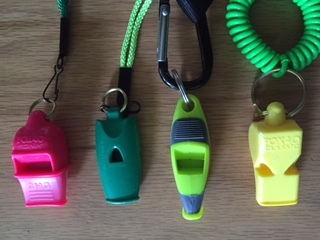 Impressive range of whistle design and colour for specific uses. Our rating for distance of sound (Loudness measured 1 - 4. 1 being the loudest). As well, pitch, class, design and the effort/energy it takes to sound each whistle. Easy to blow to produce a strong sound. Pitch is higher than the Sharx. Both have a sharp sound. A perfect name for the piercing sound this whistle produces. Some may have to cover their ears. 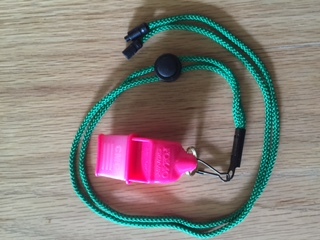 This whistle has a slip resistant, comfortable, soft plastic mouth piece that allows one to grip the whistle between the teeth. For those required to keep a whistle in the mouth for longer period of time. It has just enough grip to hold without being uncomfortable. Size and design : 2 3/8” long x 1” wide x 3/4” thick (largest of the four). The Sharx is a serious whistle in terms of sound and especially when paired with the quick-release strap and carabiner. Pitch is lower than the Sonik Blast CMG. Both have a sharp sound. 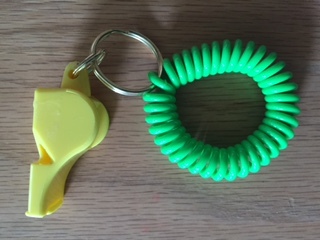 Has an effective finger grip that also acts as a marker for where to hold the whistle. The classic needs a strong breath of air to make a strong sound. The Micro needs a strong breath of air to produce a strong sound. This is the quietest of all 4 whistles. 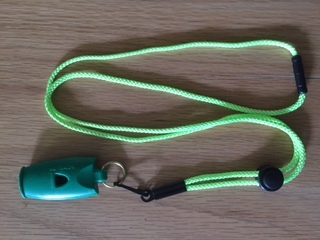 Both lanyards have a lightweight J-hook and sturdy spring loaded button style adjustable cord lock. For use with the Fox 40 whistles. Intended to wrap around the wrist or arm. This coil is tight and will not slip off your wrist or arm because of its ability to spring back to its original size. However, the length of time you wear it will depend on your tolerance of something tight to your skin. It is a great idea although it would make sense for Fox 40 to offer varying sizes. Keep in mind, there are infinite variables when testing. We have shown results for specific conditions. Most likely these results will differ as conditions differ. The Sonik Blast CMG and the Sharx definitely sound out the loudest in all conditions! If you need a whistle that produces big, sharp, clear sound, either will serve well. We had a male and female listening to the sounds...in terms of loudness, the female preferred the Sonik Blast, the male preferred the Sharx. The Sonik Blast is a slightly higher pitch than the Sharx. We also tested each whistle indoors in 1300 sq. ft of space with high ceilings—not exactly a gym size but did give clarity as to why the Classic is suggested for referees and coaches—the sound is shrill and loud the way one would expect. The Sharx and the Sonik Blast CMG are much too loud for indoors—we covered our ears. All of these whistles are loud indoors. If you need a slim, compact whistle for your pocket or keychain, try the Micro. Even though it is the smallest sound of these four, it still has plenty of shrill and piercing sound to offer—it is not the loudest for the great outdoors where there are hills and trees—the Micro is most efficient in open areas. Outside dimensions 13 3/4 in. x 13 1/2 in. A note on varying milk crates: milk crates can have short solid side-walls on all four sides (as shown in the photo below) or no solid side-walls offering more openings. A crate with more openings at the bottom is preferred. More openings at the bottom provide a more secure, fixed position. 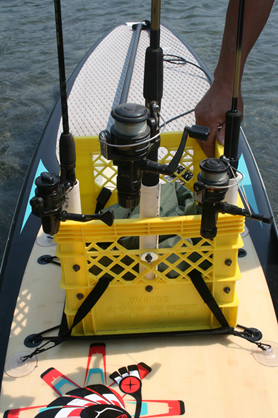 After a 5 km / 3.1 mile paddle in fairly calm waters, approximately 5 pounds of gear inside the crate, and 3 fishing rods, the suction cups did not shift at all. "Adventure Pockets” states on its packaging, “SUP pocket crate pad is intended for use on calm water." We agree with this statement because of the diameter of the suction cups (2 1/2” in diameter). If the corner straps could be made 2 - 3 inches longer this crate pad could be used with more styles of milk crates. We see this a a minor improvement. The "key" is to match the right crate to the SUP Pocket crate pad specifications. The suction is completely reliable. There is absolutely no movement once they are in place. Use on any smooth surfaced board. Reasonable quality. Reasonable thickness of plastic. The edges have a good seal but should be checked on-going. 3 5/8 in x 5 1/5 in. – this measure refers to the actual space available after it is closed tight. The neck cord is generous with good quality hard wear for adjustment in length. The neck strap is soft so it doesn't itch or feel uncomfortable in any way. 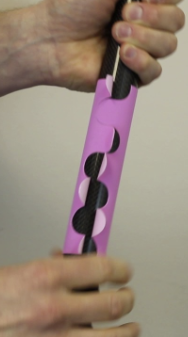 The closure design is easy to use. It has 3 zip lock style closures with a final velcro closure to absolutely keep water out. You can actually talk through the plastic for the other party to hear your voice and vice versa. The seal around the edges looks like it could come apart with a significant hit. It is just a matter of being careful as with any plastic cover. We paid only $3 Cnd. (no it's not a typo). At this time it is priced at $2.36 U.S. With all things considered it works very well. Both the front and back of the bag is transparent. In fact this case is more impressive over the next style listed. It is easy to use with no loose parts to lose. The quality is not impressive although its waterproofing ability absolutely keeps the water out. The seal around the edges looks like it could come apart or puncture easily. I should be checked on-going. The closure at the top has a loose piece in the centre that could be get lost if you don't pay attention to its existence. It comes with a lanyard but the lanyard is much too short. Dry pouch bag with strap for Iphone 5 - iphone 5g - iphone 5s - iphone 4 - iphone 4s - Apple ipod touch. My iPhone4 sits in the space nicely. You can easily hear the ring when the bag is sealed. It would not be a good idea to open the case while on the water because of the loose plastic piece that sits in the centre between the two black plastic closures. That loose piece could easily fall into the water. 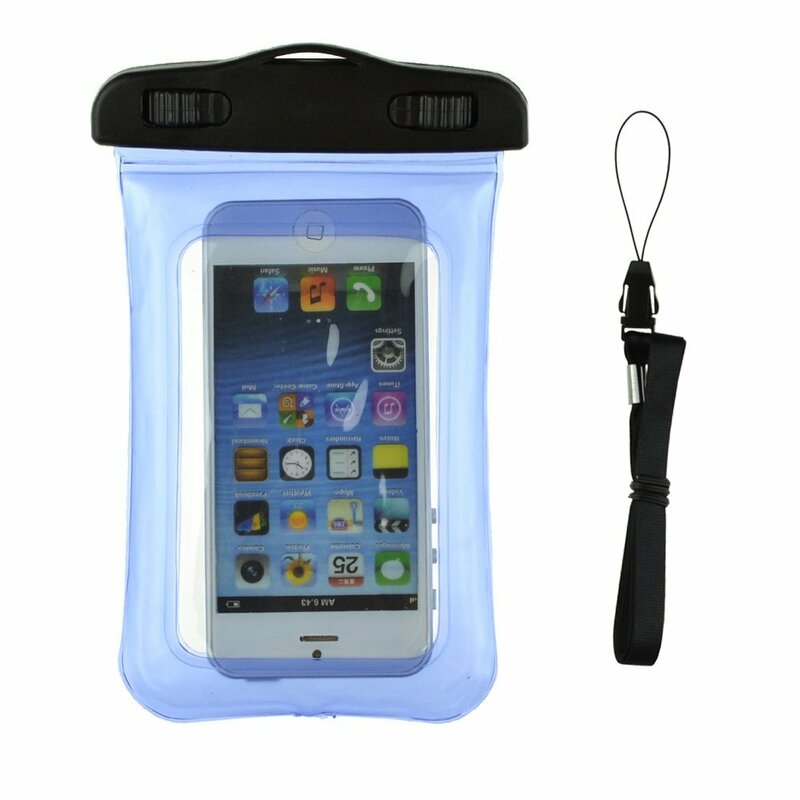 Protects your device against water dust dirt sand and other elements.